For many years, MADD has advocated through legislation and community awareness to eliminate drunk driving. Now, the organization's goals have broadened. MADD announced on Friday that it would expand its campaign to drunk drivers of boats and other watercraft. MADD Canada received $50,000 in funding from Transport Canada to install signs encouraging citizens to report impaired boaters. Between 35 and 50 of those signs now are displayed in Windsor. Chaouki Hamka, the local community leader for MADD, argued that "impaired boating can be even more dangerous than impaired driving and the consequences can be just as serious." According to the Red Cross, alcohol is a factor in forty percent of boating fatalities. In addition to the obvious dangers of operating a boat while impaired, including the risk of causing an accident that results in serious injury or death, the legal consequences of driving while drunk on the waterways mirror those of driving drunk on the roadways. A conviction for driving a boat while drunk results in license suspension and other severe penalties. MADD's campaign likely will bring increased attention to the issue, with an emphasis on local police to target impaired boat operators. 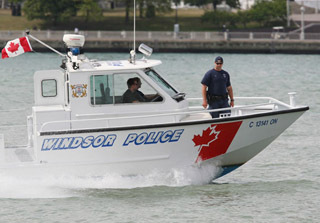 I encourage you to be safe while enjoying your summer on Windsor's waterways.